So I’m flipping off this week after missing last week and a few others. I’ve been so crazy busy it’s been hard for me to even get annoyed-which has probably never happened before. I am not cut out for full work days. It interferes too much with my internet/bad tv/shoe admiring time. Visit the marvelous Momma Kiss as she’s hosting the flips this week. Check out the other fabulous flippers as well. Busyness that prevents me from my normal amount of loafing about. As I’ve said before I work harder than anyone I know at NOT working. Rachel Zoe, Tim Gunn and the bachelor and bachelorettes are not going to watch themselves. Also? Being busy is keeping me from the super awesometastic bloggers that I love to read. Not happy about this. Mornings. Being busy makes me completely unprepared to face you. Fortunately I’m so exhausted that I am only awake long enough to assist bratchild with school clothing choices and then I pass out and am unwakeupable for a few hours. J is a saint. Douche football fans. It IS possible to be a fan and support a team without being a cockholster. Promise. I DO NOT understand the trash talking and the negativity. My FAVORITE is the people who act completely asstastic about a school they NEVER went to. Really? Get a life. You can like something without being a shithole to people who like something different. Honest. I do it all the time. Bourbon Street-your constant aroma of urine, vomit and 9 billion years of stale booze greatly distress me. Partly cloudy days. I am totally cool with cloudy days, I love a good thunderstorm-it’s a super fabulous reason to stay inside all day. We ALL know I love any reason for that. But what’s not cool is when you decide to part the clouds and be all bright and sunny AFTER I have made the choice to forego sunglasses for the day. Not cool Mother Nature, very annoying. Companies from BlogHer that DIDN’T think I was awesome enough/cool enough/non-snarktastic enough to invite me to your swanky shindigs but are NOW all constantly emailing me about conference calls, wanting to give me info, have me enter contests, get me to blog about you, etc. That’s pretty much all I’ve got this week. I’ll be back on a regular blogging schedule next week which is AWESOME because as much as I’ve missed posting, I have missed reading ya’ll’s posts even more. What are you flipping off this week? Seriously! I think you look like a dumbass if you are a vehement fan of a school you didn’t go to…unless you choose a team because of spouse or something…but even then you should tone it down. if there were NO douche football fans though who would we laugh at and make fun of during football season?! it would then just be annoying and we wouldn’t want that. Never been to Bourbon St. Now not sure I want to go. So, I’m going to whisper this so no one will hear, k? I have a brother in law who painted his driveway orange in homage to the Tennessee Volunteers. He did not go to school there. He does not live there. He lives in Chicago which is as far away in so many aspects from Tennessee as you can get. An orange driveway. And yes, he has a Volunteers tattoo. We only laugh at him behind his back. Cause we’re nice like that. I’m glad you only laugh behind his back…and on the internet. 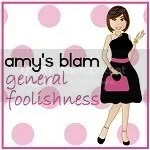 About all the BlogHer companies – I see it just wasn’t me. Good to know. And Ihear you on the busyness! I’m all seriously? You don’t invite me to cool/fun/lamebutwhocares events and you STILL want something from me? I may be cheap but I’m not free.